Cities are quickly adapting future technology to improve the daily life of its citizens. One such city is Jacksonville, FL which is planning to use the bold idea of emerging tech to improve its traffic situation. Jacksonville is one of the most populated cities in Florida with almost one million residents. With this many people, traffic situation is bound to worsen even more. This is why the Jacksonville Transportation Authority (JTA) has decided to test its autonomous vehicle or AV test track and showcase its new Ultimate Urban Circulator or U2C. 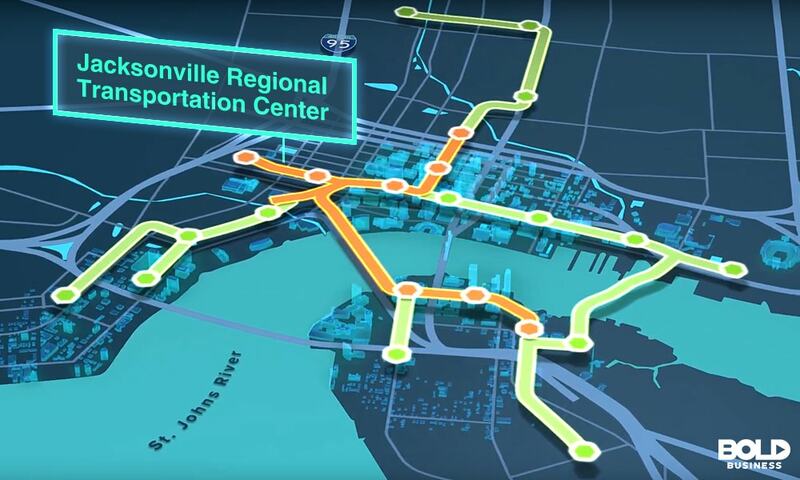 The main goal of this project is to make use of steadily growing autonomous transit technology and use it to help connect the people of Jacksonville by making travel between places quick and easy. The JTA created a track that spans from Intuition to Daily’s Place and will be the test site for various autonomous vehicles in the next two years. The first AV ride to be utilized on the new track is a Transdev Vehicle; a 12-passenger ride that can accommodate six seated, and six standing passengers. CEO Nat Ford says Jacksonville is planning to stay ahead when it comes to providing quality transportation. Various autonomous vehicles will be rotated on the track every six months to test out different variables such as speed, size, and even functionality. Afterwards, they will decide on whether or not the specific AV will be adapted by the U2C. The U2C project, on the other hand, is a plan to retrofit the 2.5 mile Skyway infrastructure as well as the building of available off-ramps to extend this transit system to other areas. The project is currently under the Skyway Modernization Program (SMP) and they’ve started structural assessment, converting infrastructure, developing vehicles, expanding the system, and engaging with their stakeholders. This new system targets to expand the current Skyway system and revitalize it by adding more connections to both sides of the St. Johns River. There are various projects which are all ongoing in Florida and in other parts of the country. In Gainesville, the Florida Department of Transportation (FDOT) and the University of Florida are working on autonomous vehicles co-existing with other types of transportation, as well as with pedestrians, transport hubs, bicycles and mopeds. A separate FDOT project, driverless vehicles are being tested on a $90-million Suntrax facility which is located 40 miles southwest of Orlando, covering 400 acres with an eight-lane track. At the same time, the Metropolitan Transportation Commission (MTC) in California’s Bay Area is studying how it can expand with the use of autonomous vehicles. These plans include vehicle-to-vehicle (V2V) and vehicle-to-everything (V2X), also called vehicle-to-infrastructure, internet-of-things (IoT) implementation. This would allow autonomous vehicles to communicate with one another, and also with the road and infrastructure. To have the best engagement or implementation of autonomous driving, the vehicles must be aware of other vehicles and the signals from the road infrastructure providing information about the weather, the road ahead, traffic flow, and other information. 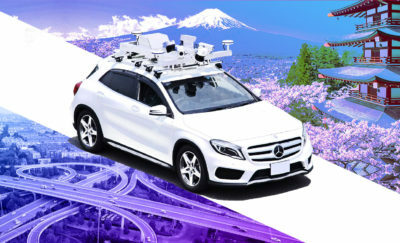 The MTC recently granted the Bay Area cities with $5 million in total grants for research and pilot programs for driverless vehicles as well as for other real-world traffic problems. It was founded in 2014 and has offices in Toulouse in France, Singapore, and in Denver, Colorado. It has a total 60 employees. The name comes from the concept of delivering on the last mile. Their EZ10 electric vehicle is an autonomously driven shuttle which has a capacity of 12 passengers. It has been deployed in more than 50 locations in 14 countries across the world. As a driverless vehicle company, it also has a cooperative agreement with Continental AG, an automobile parts supplier which is also developing their own independent driverless software. Arguably the leading driverless electric vehicle company in the world. It has testing sites all over the world, and has deployed their vehicles in Australia and New Zealand, Asia, and in Europe. Walt Disney World in Florida has plans to use Navya vehicles for their shuttle requirements. Recently, the Dutch firm was awarded a contract in Dubai for automated/driverless vehicle system to service Bluewaters with the city’s metro station network. The stations will be approximately 2.5 km apart. 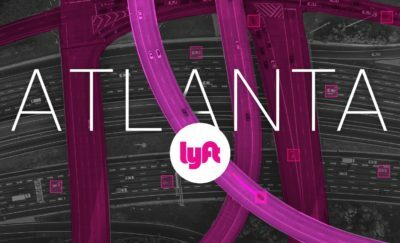 The project is expected to transport around 5,000 people per hour in both directions. There will be 25 driverless group rapid transit (GRT) units. Each vehicle will carry 24 passengers. Local Motors. The innovative car company manufactures the modern way: by 3D printing. Its vehicles are made via carbon composite monocoque construction very much like high-end sports cars. The current model Local Motors Stratti is 75% 3D printed, and the company plans to have its next car to be 90% 3D printed. What sets the company apart is that the raw materials can be pelletized and then returned to the owner, allow parts to be replaced or repaired using the old damaged part’s carbon pellets. Ultra Global. Quietly working with Heathrow Airport is UK based Ultra Global with its Personal Rapid Transit (PRT). The Ultra Global PRT is a pod which is like a small bus. It can carry up to six people and their luggage. It has a top speed of 25 mph. These are driverless shuttle vehicles which can intelligently pop up at station stops for a quick charging if the opportunity arises. Since 2011, there have been 21 pods servicing Heathrow and ferrying up to 1,000 passengers a day. Since they were instituted, the pods have logged in more than a million miles of autonomous driving. The new Jacksonville test track is a big learning and testing facility for the city. Brad Thoburn, the Vice President of the JTA, adds that the U2C project is the result of years and years of study. It required taking a long hard look at the current Skyway system and projecting what it needs to be in the future. The project proponents are banking on autonomous vehicle technology as the future and expect U2C to will be their contribution to the future of transportation. The test track will be opened to the public to help more residents become more familiar with this new transport technology. Actual trials will also provide the JTA vital feedback on areas and systems they can improve on. The track will be used for maneuver testing and special events for the month of February and will have a new vehicle installed and available for use 30 hours a week. This bold move is certainly the beginning of something great for Jacksonville.